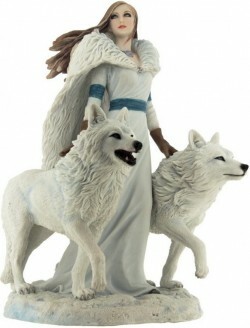 An impressive and detailed figurine designed by Anne Stokes featuring a lady in white with two white wolf protectors. Solid cast figurine. Feels weighty.